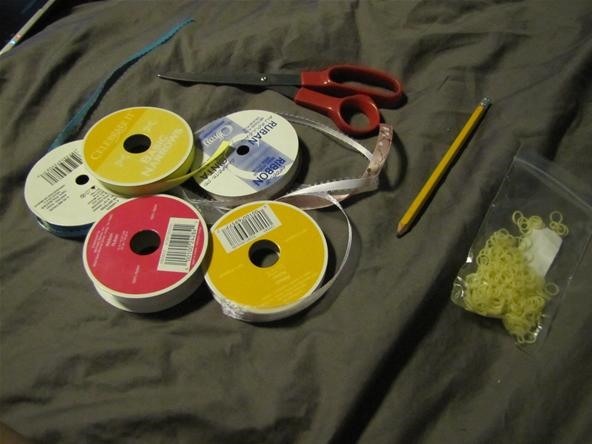 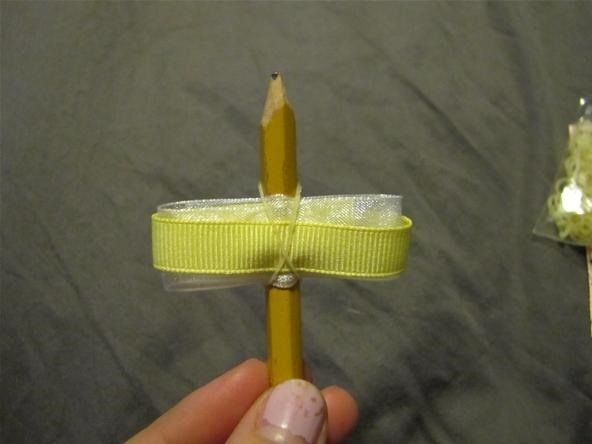 You'll need a pencil, small elastics, ribbon, and scissors. 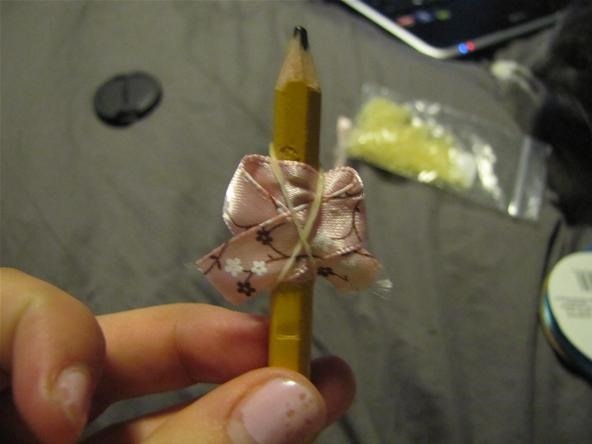 Cut a piece of ribbon about the size of the pencil for small sized bows. 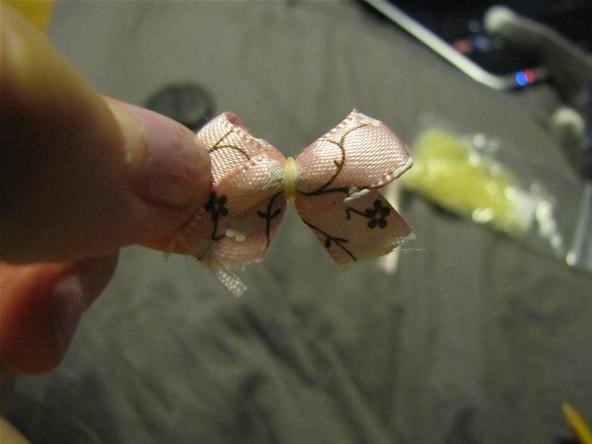 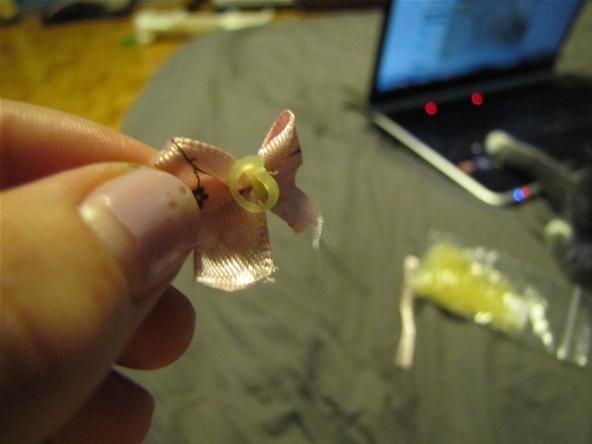 If you want the bows to be smaller or bigger, just cut the ribbon to your desired length. 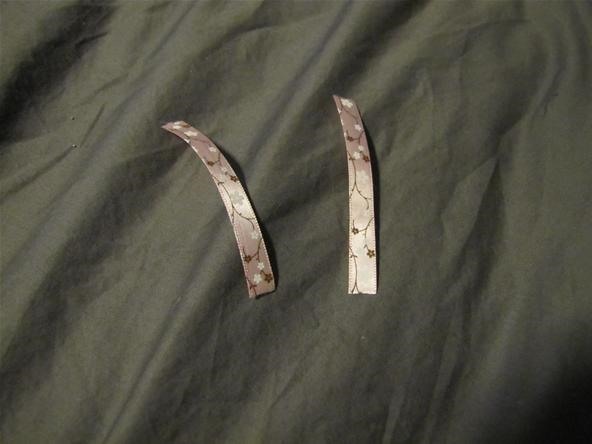 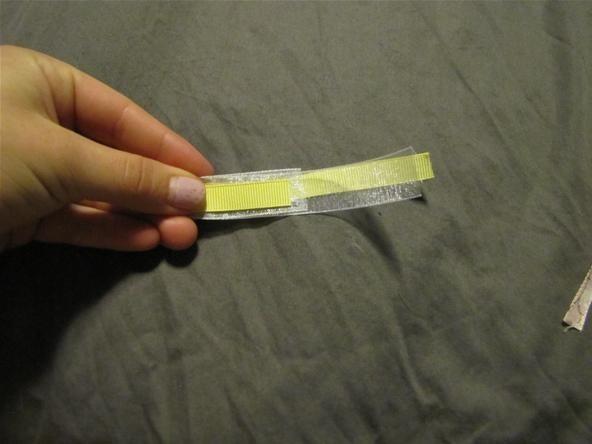 Next you'll want to cut your piece of ribbon into 2 pieces of the same length. 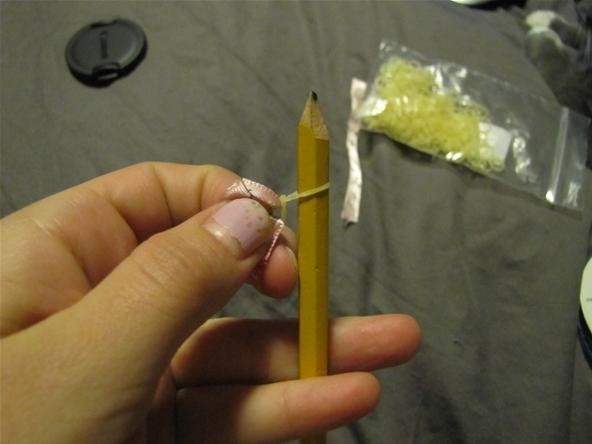 Now put one of your elastics around the pencil about 2 inches from the tip. 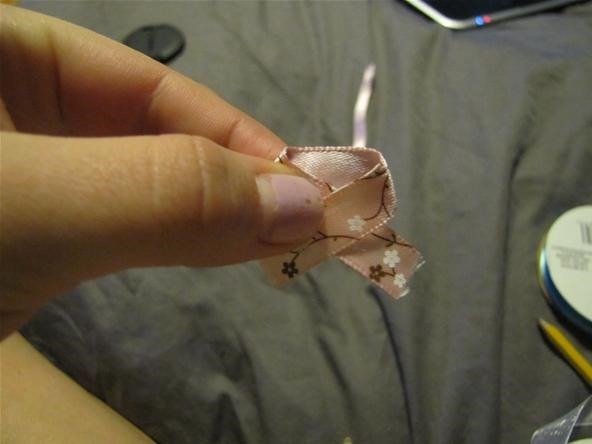 Then fold your bow like the awareness ribbons like shown in the picture. 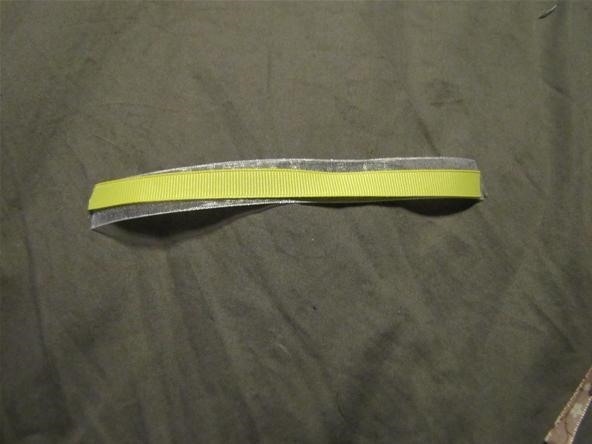 Keeping the ribbon in the same fold, hold it against the pencil right above the elastic. 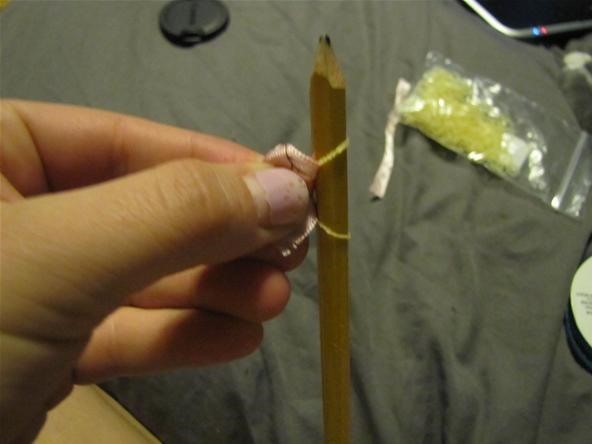 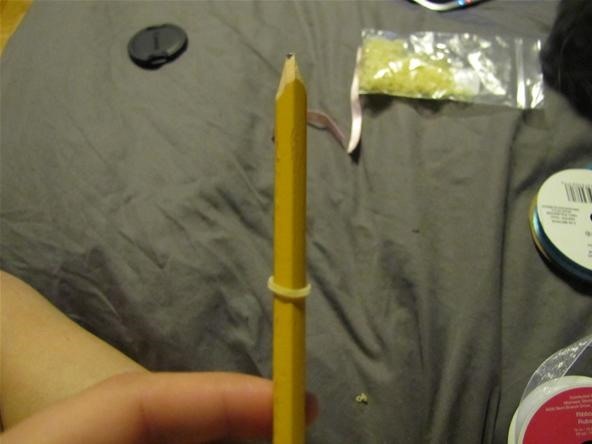 Take the elastic, twist it once, and then fold it over the tip of the pencil. 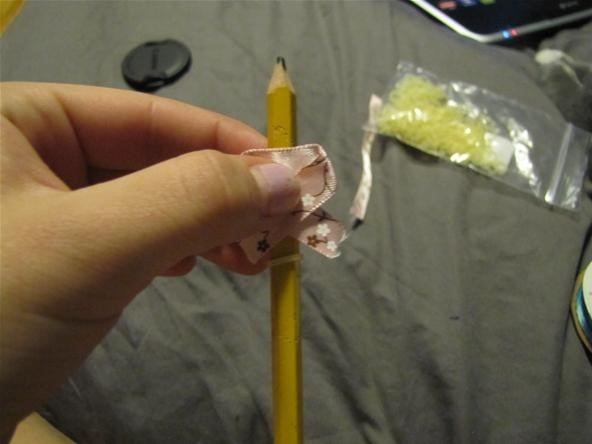 Once you have it as the picture, fold the ribbon in half, and now pull the bottom of the elastic over the tip of the pencil once again. 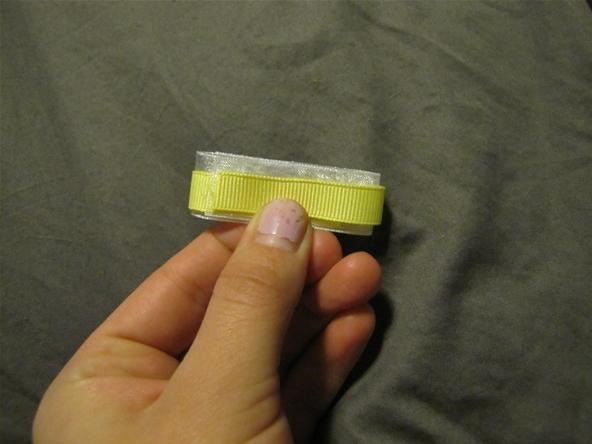 Wow, that was a great tips for all of us who wants to make our dogs looks good and stylish. 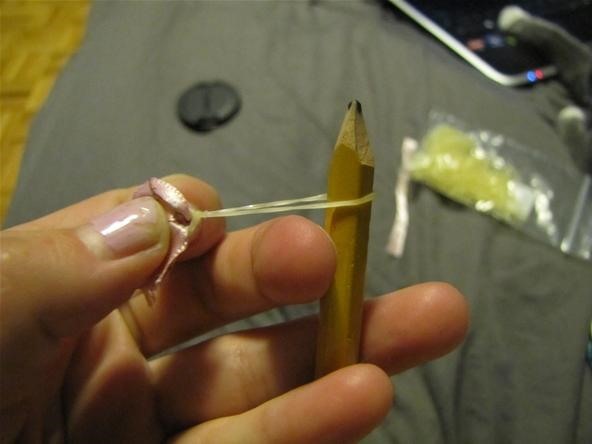 I would love to try that later!